CINCINNATI -- An Archbishop Moeller High School faculty member is on administrative leave after a former student alleged the faculty member sexually abused him. School officials notified authorities and the archdiocese after learning of the accusation, they wrote in a letter to parents Friday. "At this time, we don't know if this allegation has any merit; we are working diligently with the Hamilton County Prosecutor's office to determine the truth," school officials wrote. "The faculty member in question has been put on administrative leave pending the outcome of this investigation." 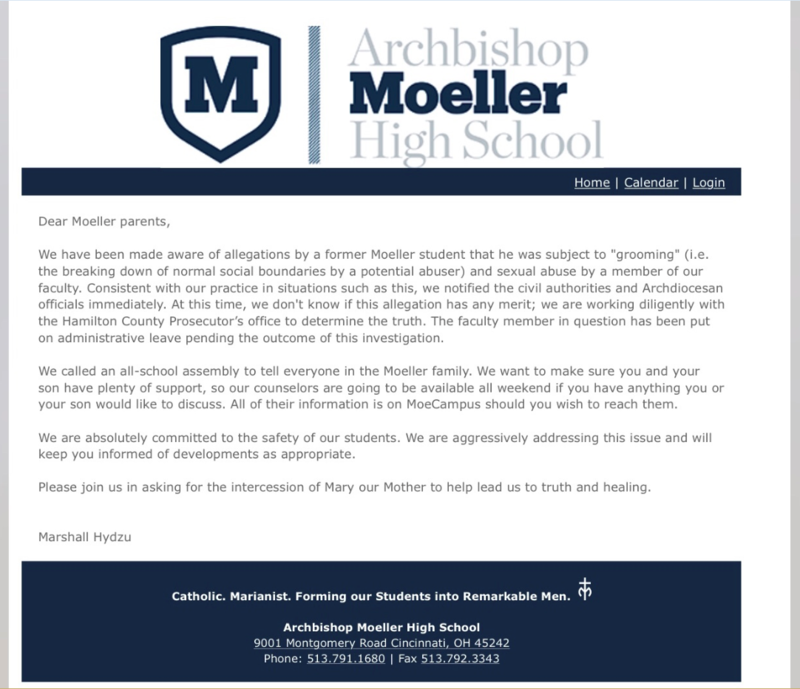 The school also held an assembly to inform students, Moeller officials wrote. They added that counselors would be available over the weekend.